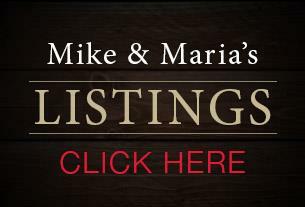 Mike and Maria Walsh are two of the Stratford area’s most effective REALTORs® for residential, commercial and farm properties. In their 60 years of combined experience, they have consistently ranked in the region’s top producers – which means they succeed at helping their clients both buy well and sell better. Mike has been in the business 35 years and has a keen, no-nonsense market sense, and a remarkable memory for properties and pricing. Maria started 25 years ago as “Rookie of the Year” for all Southwestern Ontario (and a Top Producer ever since) because she understands what’s personally important to buyers and sellers, and intuitively connects the right people with the right home. Between Mike’s market logic and Maria’s soft skills, they know how to make both buying and selling work for their clients.